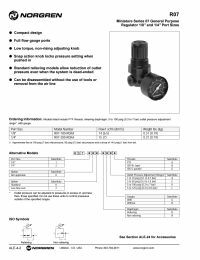 The Norgren R07-100-RNTA air pressure regulator features a compact corrosion resistant design. 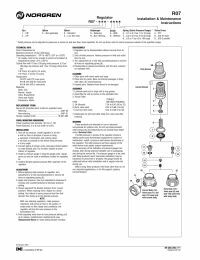 The R07-100-RNTA has a snap action pressure adjusting knob that locks the pressure setting when the knob is pushed in. This regulator is suitable for use on compressed air and neutral gases.